Having spent last Summer in Kaş, my family and I returned to the charming seaside town in Turkey with a good idea of which spots were the best. We knew our favourite restaurants, and if I'm honest, were a little tired of going to the same places. 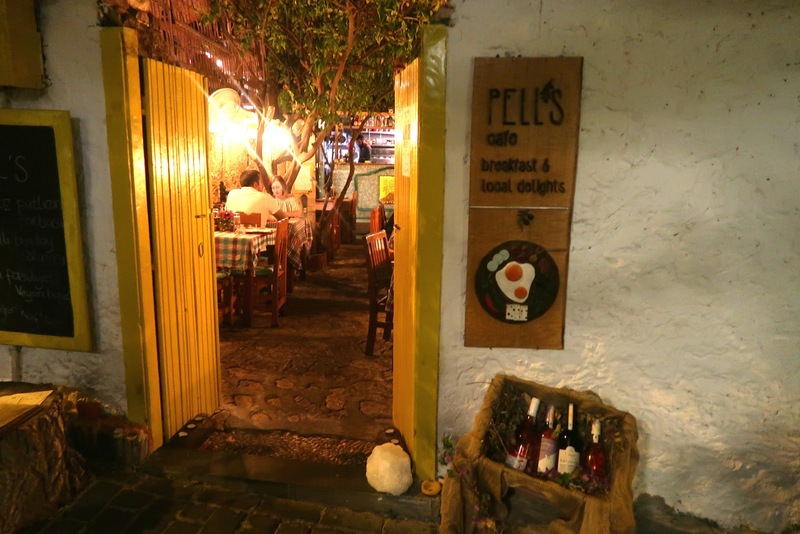 Wandering a street off the main road one night, we stumbled across Pell's and our holiday eating took a new turn. With candles and crystals at the door, and a roof of lemon trees draping over the tables, I was immediately drawn inside. 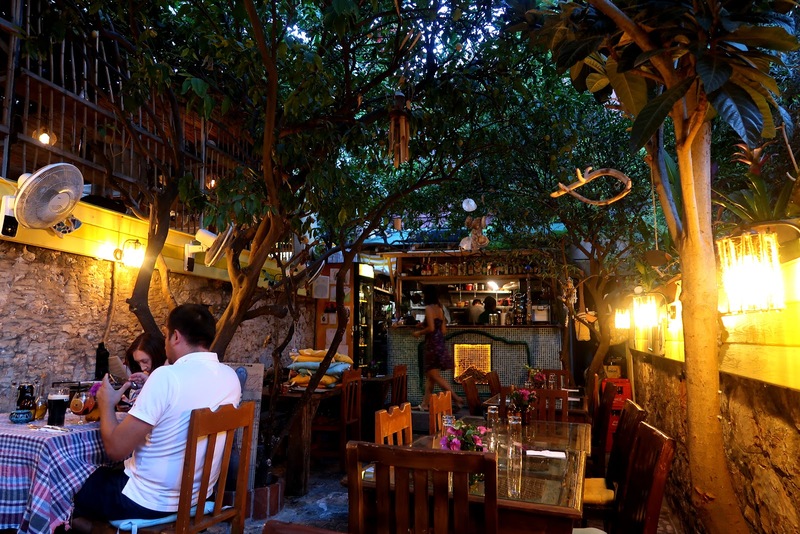 We were served by probably the loveliest and smiley-est waitress I've ever met, there was great music and eclectic bohemian decor; the atmosphere was right up my street. 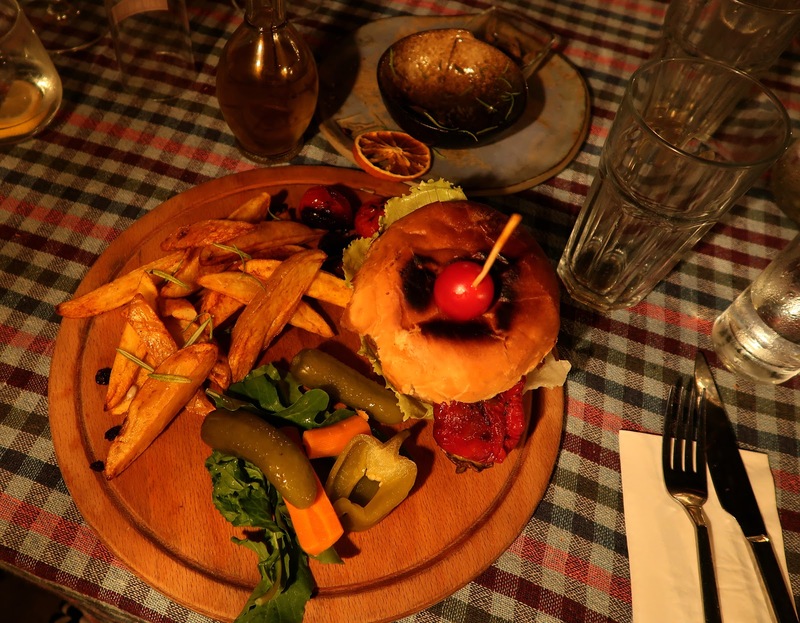 I don't claim to know a lot about food, and it's not something I usually blog about. 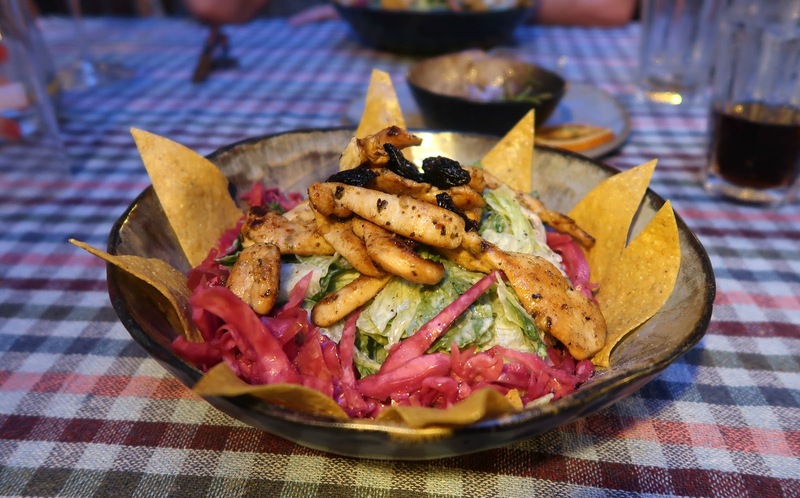 However I will say that it was the best and most original food I've had in Kaş. There was a lot of rosemary, dried orange slices and nuts as garnishes - very hipster and very tasty. We returned for dinner again the next day, and I'm sure had we found them earlier, we would have tried their very enticing breakfast menu. 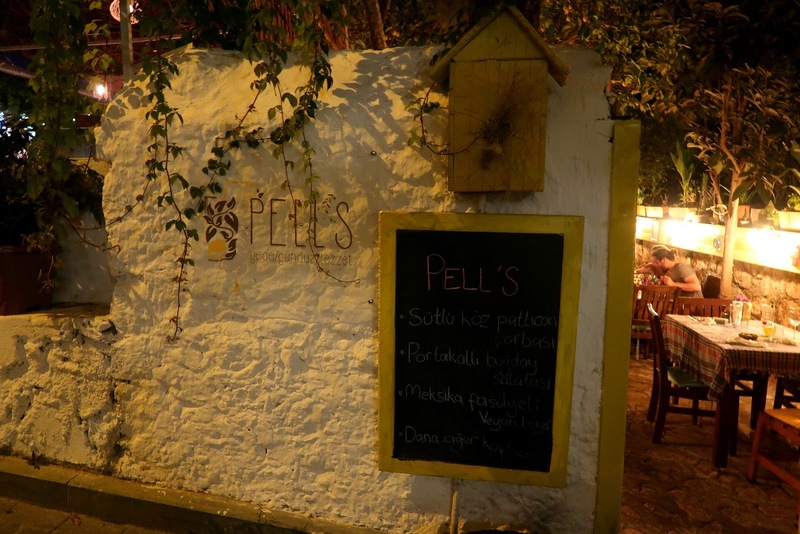 Should you find yourself in Kaş, put Pell's at the top of your list of places to visit.